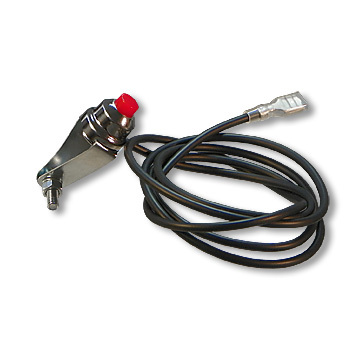 Spring loaded ground contact switch fits 7/8" or 1" frame or handle bars. 36" shielded wire, with a spade type end fitting. A "must" safety device for any engine.